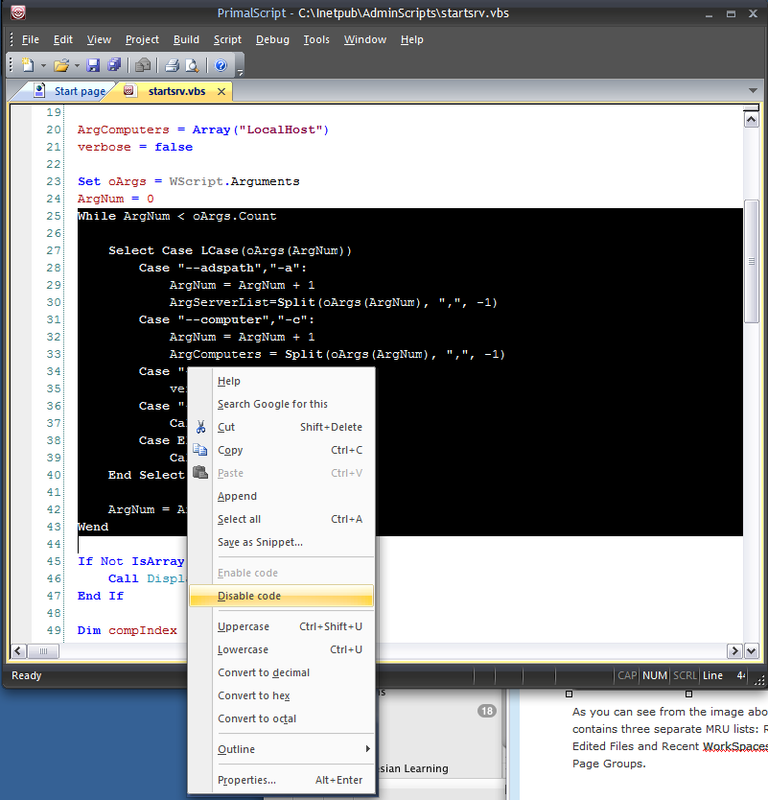 PrimalScript 2009 includes a nice new feature that helps out in the script development process. 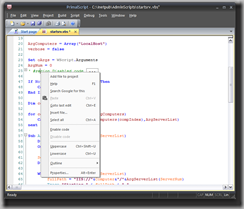 You can now select a block of code, right click, and choose Disable Code. This option will do three things to the selected block: it will comment out the selection, wrap the block in a “Disabled Code” region and collapse that region. 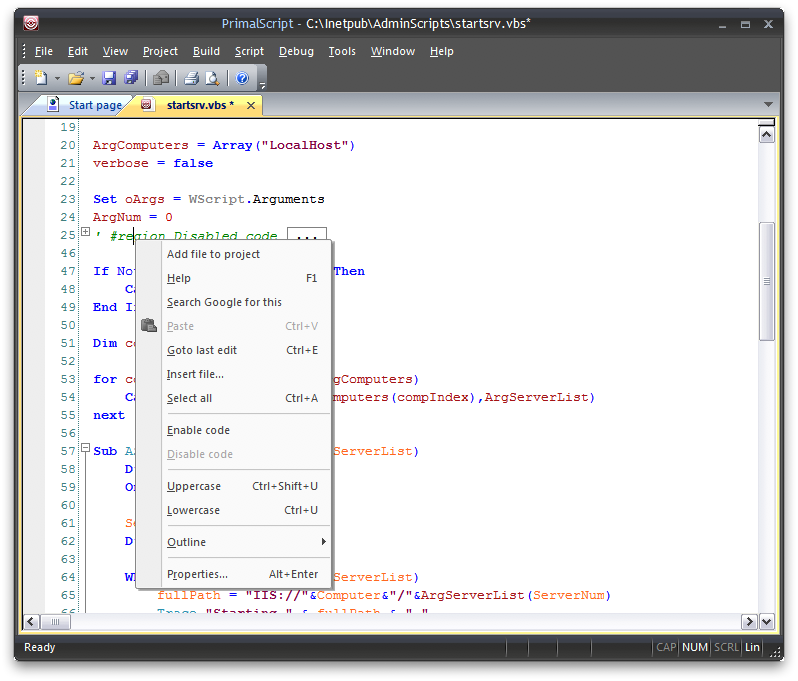 The code block can easily be re-enabled by right clicking on the collapsed block region tag and selecting Enable Code. Enabling/Disabling code in this way is much quicker that simply commenting out code. 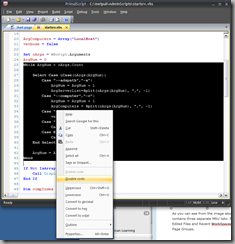 Enclosing the block in a region eliminates having to reselect the block to uncomment it. Also, folding the region makes the remaining code easier to read and debug. What is a Source Code Control System? Excellent.. Nice feature.. I always loved the comment out hot-key feature in previous versions, but this is pretty cool as well..
Are you going to have a hot-key for this feature? I will check with the dev team to see what is in store for a hot key.